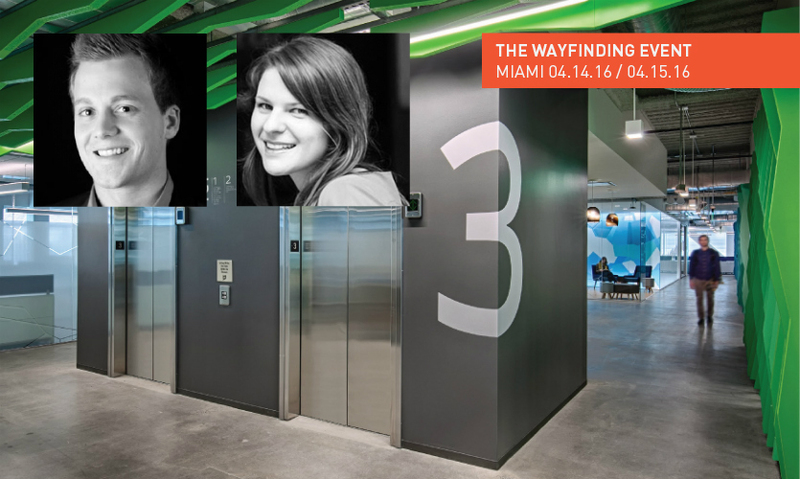 Joe Lawton and Ellen Bean Spurlock, Media Objectives at Valerio Dewalt Train, will lead the Workplace Wayfinding session at The SEGD Wayfinding Event April 14-15 in Miami. 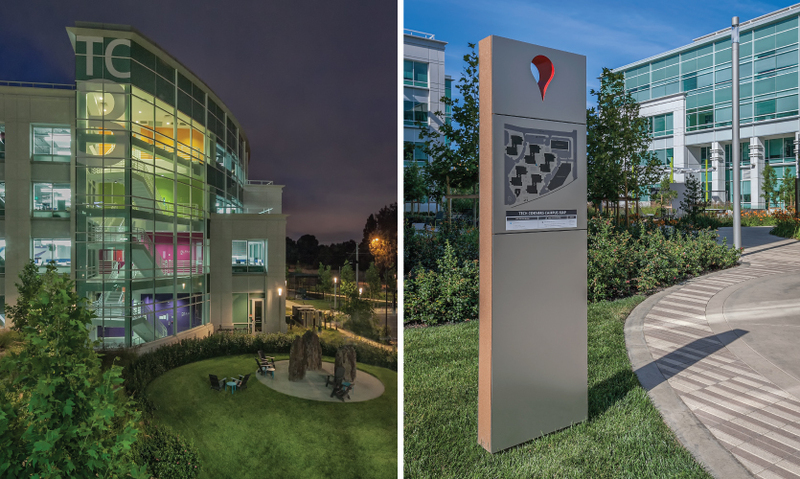 M-O created a wayfinding and graphics program for Google's new Tech Corners campus in Sunnyvale, Calif. 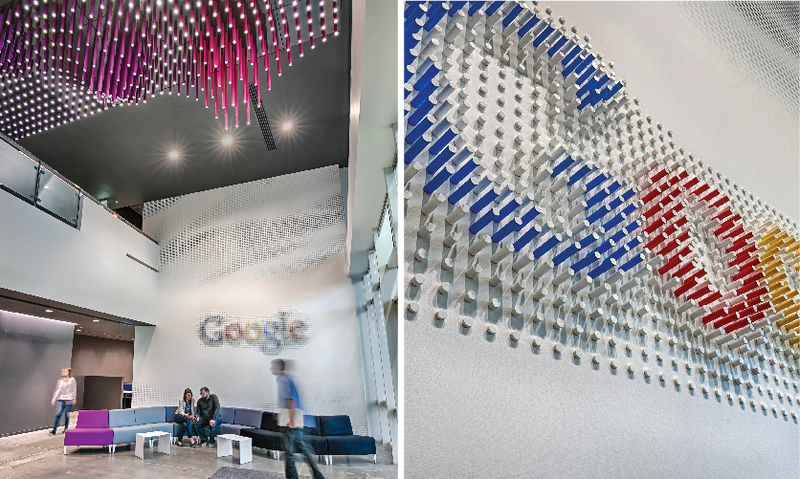 Distinctions between wayfinding, placemaking and branding are blurred, enhancing Google’s culture through the overall design solution. An integrated experiential and architectural design team developed the workplace strategy in tandem, breaking down the barriers of design roles to produce a holistic experience. At the headquarters for Textura, Media Objectives channeled the company’s brand essence, reflecting their collaborative nature, fun personality and cutting-edge technology products. 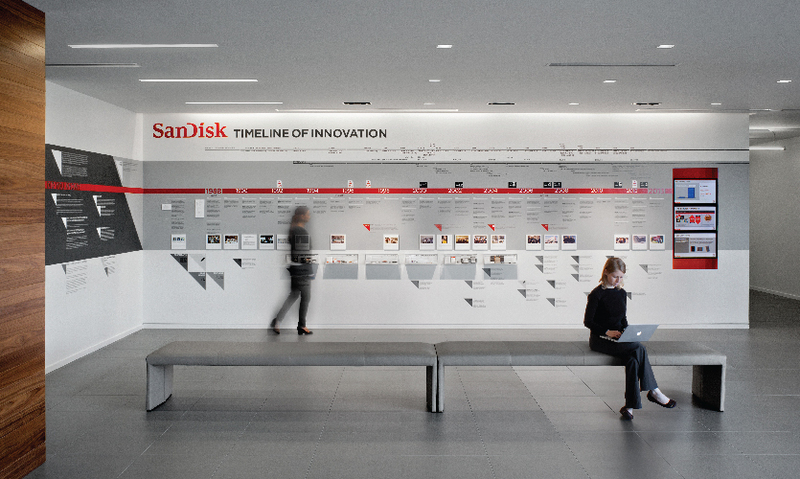 Branded corporate history exhibitions for SanDisk’s headquarters are limited to customer-facing areas, while direct branding is minimized in workspaces. 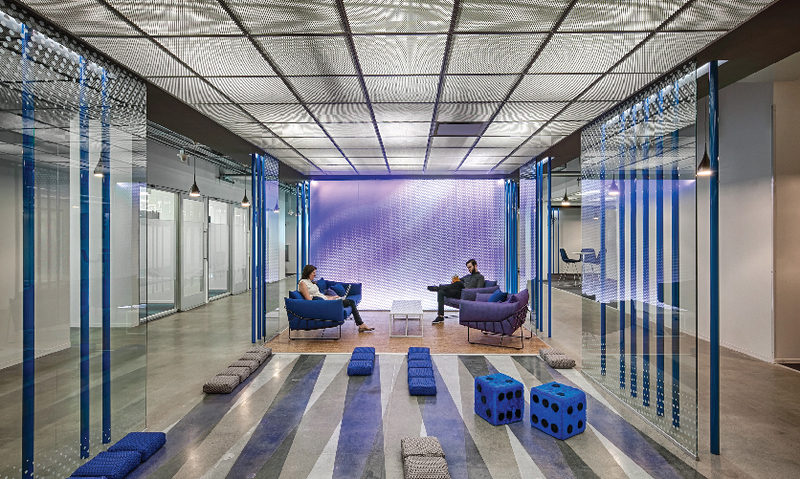 PayPal’s suburban office in Timonium, Md., brings the energy of Baltimore into the workspace with local flavor and custom artist murals, providing a culture to better attract and maintain talent outside the city. Whether it’s for high-tech start-ups or more traditional corporate environments, workplace wayfinding has a unique triple mission: not only to guide visitors and employees through complex spaces, but also to create a strong sense of place and support the brand. For Joe Lawtonand Ellen Bean Spurlockof Media Objectivesat Valerio Dewalt Train Associates, it all starts with people. Their design teams begin each project by mapping the process of how users will experience the space, and just as they insert wayfinding at key decision points, they are very intentional about where and how they position experiential graphics. 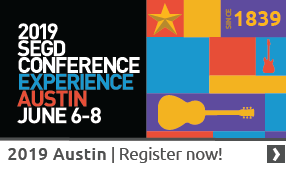 Lawton and Spurlock, with Brittney Butlerof VMDO, will lead the Workplace Wayfinding session at The SEGD Wayfinding Event April 14-15 in Miami.They took some time this week to talk with us about workplace wayfinding. 1. What sets workplace wayfinding apart from wayfinding in other environments? (Joe) Workplace wayfinding at its core is about two different user groups, visitors and employees. Each has similar, yet very different needs. For visitors (recruits, collaborators and clients), wayfinding should make a great first impression as well as provide clear directions. Employees’ needs are different, as they become more familiar with the environment over time. So wayfinding can be less traditional and focus more on placemaking. 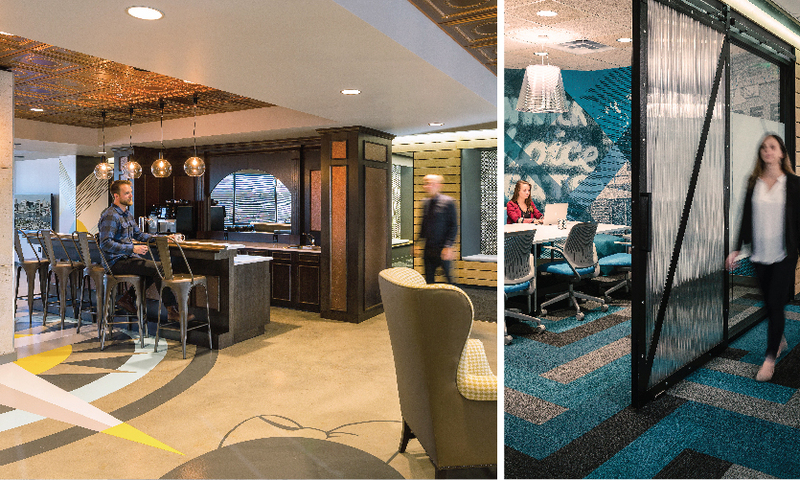 (Ellen) The distinction between wayfinding, placemaking and branding is blurred in a workplace because of the need to enhance our client’s culture through their overall workspace design. We can provide more sophisticated and concise design solutions by integrating wayfinding and brand. 2. How do you achieve the right balance of branding in workplace wayfinding? (Joe) Brand integration is extremely important, but how we integrate a client’s brand in the workplace is evolving. Specifically over the past few years, we’ve seen a shift, with clients desiring more abstract translations and minimal expressions of their brands in their wayfinding programs. (Ellen) For visitors it’s most important to create a more literal brand impression so they get excited and know they’ve arrived. For people that are in the workplace day-in and day-out, it’s more important to create an environment that embodies the cultural essence of the brand. (Joe) We have a whole phase in our process focused on researching our client’s brand, immersing ourselves in their day-to-day, so we can create solutions that feel authentic and unique to each user group. 3. 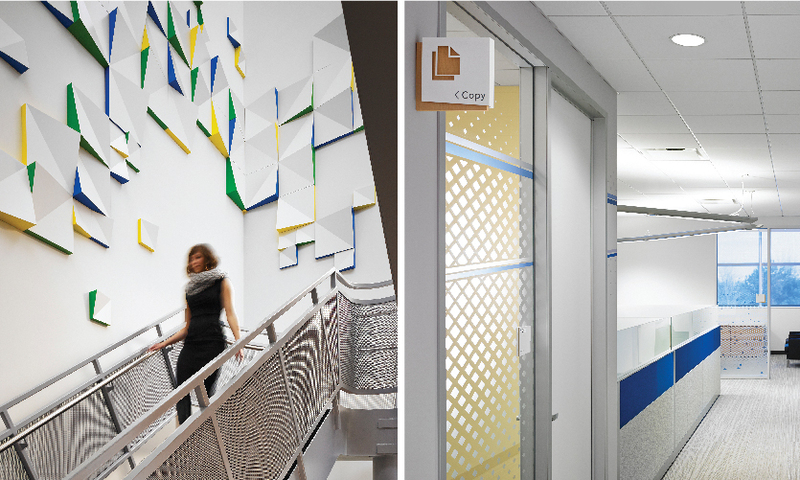 What trends are you seeing in workplace wayfinding? Are they tied to current space planning trends for work environments (open offices, smaller meeting spaces, etc.)? (Joe) The first is a difference between corporate headquarters and regional offices. Regional offices often are results of mergers, and need to emphasize the larger corporate brand while still maintaining a significant amount of individualism. This is an area where experiential graphics can often merge local culture with the corporate brand. Conversely, the latest trend we’re seeing in headquarter offices is a reduction of brand presence. Employees know where they work and are asking for less overt branding in their workspaces. (Ellen) Another trend relates to urban versus suburban offices. Urban users are requesting connection to nature, healthier materials, more restricted palettes and very select applications of bold design moves. Our speculation is that they need a retreat from the city and they want their offices to be more calming. And we find more suburban locations want energetic design solutions. Experiential branding can provide what these suburban environments lack in vibrancy and energy. There is a stronger need to provide the culture in these locations. (Ellen) Finally, with a high concentration of tech clients, we’re accustomed to an ever-evolving workplace strategy and the need for flexibility. There is a desire and need for constant improvement; therefore it isn't always relevant to standardize the brand culture within workspaces. Many of our workplace clients have experienced rapid growth and acquisition, and need to frequently relocate user groups. In response to this need for flexibility within space and branding, we’re very intentional about how we place experiential graphics. As users rotate through the workspace, the content evolves but core spatial planning is constant. Placemaking and wayfinding truly drives the architectural programming for clients with these unique needs. 4. Your presentation is titled “Defining Spaces for All Ages.” Can you tell us about that, and why it's important?? (Ellen) The average employment age demographic is evolving very quickly, and we have to keep this in mind as we create design solutions. While we’re designing for today’s workforce, we’re really actually designing for the future workplace. So we have to be very conscious that our designs are timeless and relevant for all ages while balancing the need to attract younger employees, especially for a lot of our tech clients. Our clients' cultures are also evolving and design solutions must grow with them to reflect both their current and future needs.